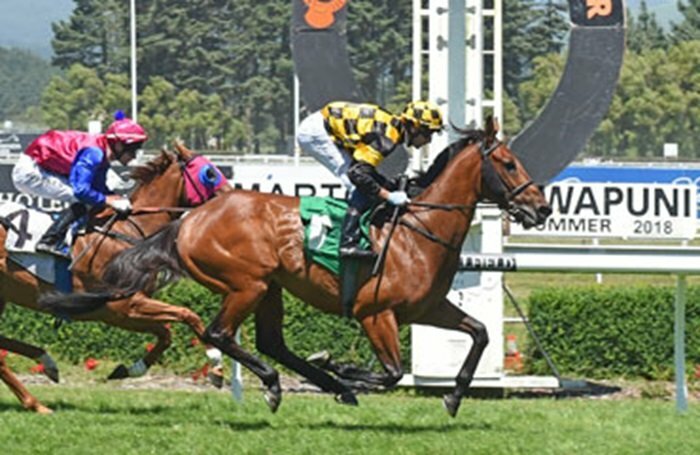 Lindsay Racing's talented 4YO gelding Hanger (O'Reilly ex Do Ra Mi) resumed from a break with a highly encouraging 1200m win in the hands of Leith Innes at Awapuni today. Trained by Roger James and Robert Wellwood, Hanger had not been seen since his narrow last start second in April's Gr.3 Cambridge Breeders' Stakes. "That was the effort of a class galloper," said Roger James of today's win. "To do that after so long off the scene and without a jump out or a trial, it augers very well for the rest of the preparation." To this end, Hanger is nominated for the Gr.1 Telegraph Hcp on January 19 - a race his sire O'Reilly won in 1997 at just his fourth career start. Bred by co-owners Waikato Stud, Hanger is the winner of three from 10 starts and has four additional placings to his name.